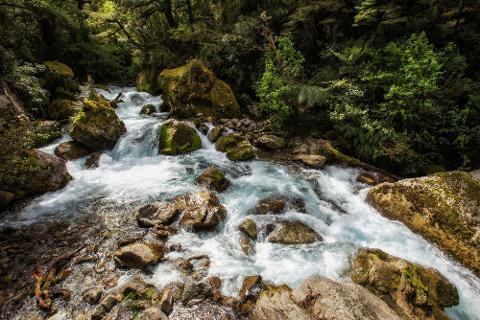 Fly through the stunning Greenstone Valley, the pathway for the pre-European Maori to the greenstone trails of South Westland, landing in the spectacular Hollyford Valley. The Hollyford and Martins Bay area has some of the most rugged scenery and interesting early European history New Zealand had to offer. Sweeping beaches, lush rainforest and gin-clear rivers attracting early settlers with dreams of farming prosperity, dreams that dissolved further with every passing year. This trip allows you the opportunity to explore this outstanding natural environment and engage with the history of the area. 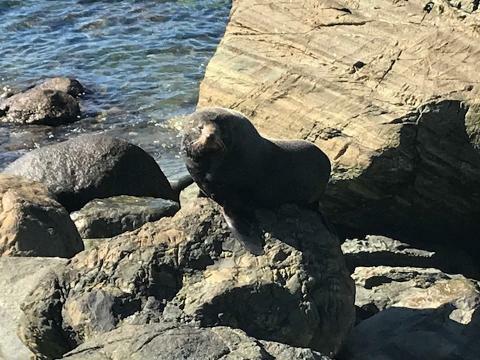 The area is rich in birdlife, towering podocarp forests, sand dunes and boulder beaches - enjoy all this and more with plenty of opportunity to stretch your legs and be guided through the area stopping for a freshly prepared gourmet picnic lunch on route. 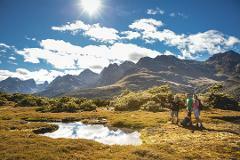 Following your walk in the Hollyford Valley, discover the famous Milford Sound and all its spectacular sight by air - Mitre Peak, Sutherland Falls and more. Land on a breath-taking glacier for photographic opportunities before heading back to Queenstown where your taxi will be waiting. 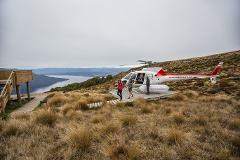 Includes: Helicopter flight/Taxi transfers to and from Queenstown accommodation/ Guide/ Snacks and Gourmet picnic lunch.